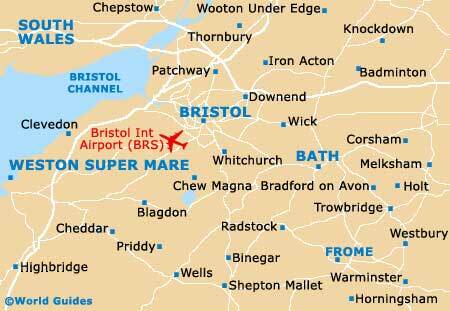 The historic Somerset city of Bath nestles in the Avon River valley, not far from the Cotswolds, in an area of outstanding natural beauty. Founded by the Celts and know in Roman times for its healing springs, the city of Bath is dotted with spectacular buildings and classic Georgian terraces, which have resulted in its designation as a UNESCO World Heritage site. From the centre to the suburbs and beyond, a large selection of apartments and homes are available. Homes in and near the mainly Georgian city centre, ranging from apartment conversions to five- and six-bedroomed terraced houses, are inevitably very expensive. Radiating out from the centre, even the small, terraced workers' cottages are built with the warm, creamy Bath stone. In the suburbs, newer housing developments, including semi-detached properties and apartment blocks, are available in the likes of Larkhall, at up to half the price of centrally situated properties. Serviced apartments in Bath can be booked online, with several companies offering discounts of up to 40 percent for using this service. Most apartments in the city centre comprise contemporary interiors within period buildings. Comprehensive services are offered, including car parking. As with property in general, prices are high, but are still cheaper than many local hotels. Full payment is usually requested on arrival and cancellation less than three days prior to arrival attracts the full charge. Bath property prices are as high as those in the better areas and commuter suburbs of London, with period properties and conversions close to central amenities priced out of reach for many buyers. Prices of Bath homes increased until 2008, with the most expensive dropping significantly and the cheapest holding steady in 2009. Families may prefer to purchase in the suburbs like Lansdown or the less elite Larkhall, while the terraced houses of Oldfield and the middle class housing of Newbridge and Weston make for popular abodes. EU nationals will find it easy to make a purchase in Bath, while non-EU nationals may face obstacles in getting a mortgage. In the cheaper areas with their redeveloped social housing, prices are still affordable, especially for apartments. Council tax is high, with reassessments taking place which will result in further increases. Expect to pay stamp duty on your purchase if the price is above a low limit. 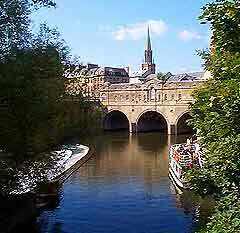 Most Bath properties attract this tax, which is levied at between one and four percent, dependent on price. 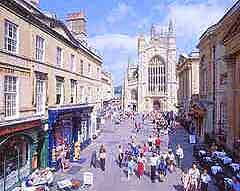 Estate agents in Bath range from upscale and luxury to average as regards the properties they handle. The better agents maintain up to date, informative websites, while many local agents advertise properties in their office windows. Palmer Snell Country and Fine Homes is a specialist division of the Palmer Snell estate agency group, and deals solely with upmarket properties. A local company specialising in residential sales and lettings, with 25 years' experience and a comprehensive website. Local agent listing properties for sale in Bath across the entire price spectrum and offering traditional, personal service.